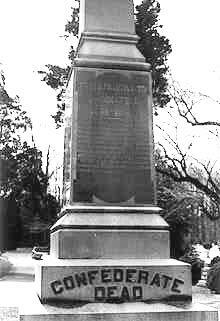 The Confederate Monument was dedicated at the Fairfax Confederate Cemetery (now the Fairfax City Cemetery) on October 1, 1890. 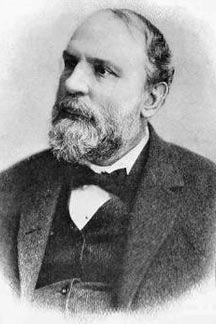 The former Virginia governor, Fitzhugh Lee (Dem., 1886-1890), U.S. 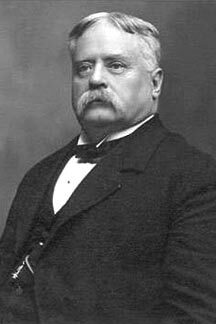 Senator John W. Daniel (D-Va., 1887-1910), and a generous supply of Confederate officers and enlisted veterans joined the crowd of two thousand, who "in their enthusiasm to view everything, delayed the parade for one and a half hour." 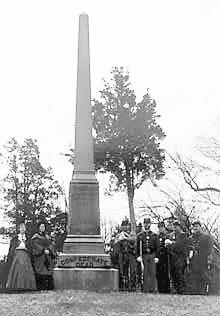 The $1,200 monument was presented to the Ladies Memorial Association by the president of the Monument Association, "Captain" John N. Ballard of Mosby's Rangers. 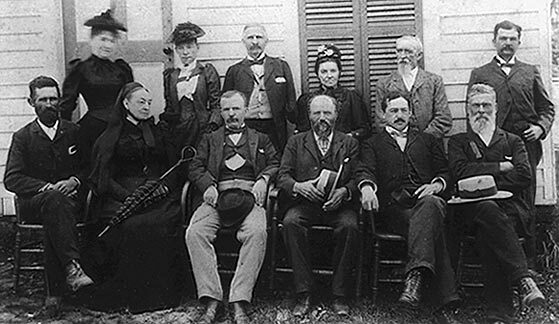 Mr. F. W. Richardson, Mr. Jefferson Sager, Mr. R. Walton Moore, and Mr. George Gordon. Photo courtesy of Lee Hubbard. 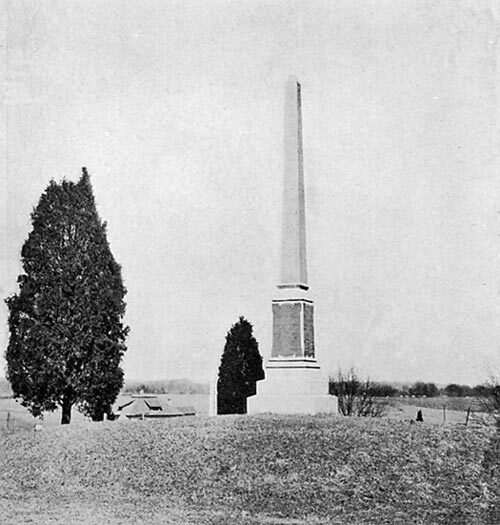 This 1996 photograph shows reenactors of the 17th Virginia at the monument, giving an idea of its size. ARE AT REST BENEATH THIS MOUND. JOSEPH FREEMAN. 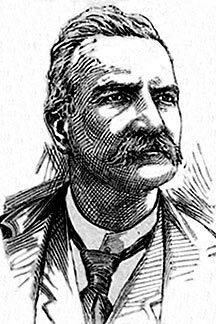 H. T. HARMAN. 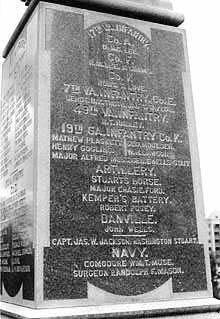 7th Va. Infantry, Co. E; 49th Va. Infantry; 19th Ga. Infantry, Co. K; Stuarts Horse Artillery; Kemper's Battery; Danville Artillery; Capt. Jas. W. Jackson, Washington Stuart, and two Confederate Navy Officers. 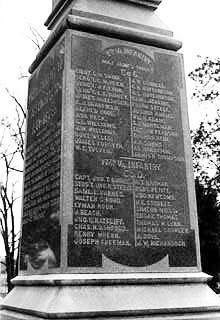 1st Va. Cavalry; 4th Va.; 6th Va., Co. A, Co. F and Co. K; 11th Va., Co. 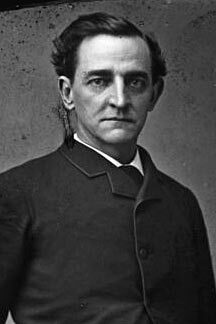 I; and 11 members of Mosby's Cavalry. Site Design by Stephen Wolfsberger Last Revised July 3, 2008.